A research proven multi-function muscle focused supplement. Glutamine is one of the 20 amino acids and has become more prominent as new studies reveal its unique contribution to protein synthesis. It is beneficial to most athletes to take Glutamine supplementation as it prevents muscle tissue breakdown and may contribute to muscle growth. L-Glutamine is a convenient way to supplement your intake of this essential amino acid. Take 5g (approximately one level 5ml measure) and mix with 300ml of water, or fruit juice. Take one serving half an hour prior to exercise, one immediately after exercise and one before bedtime. 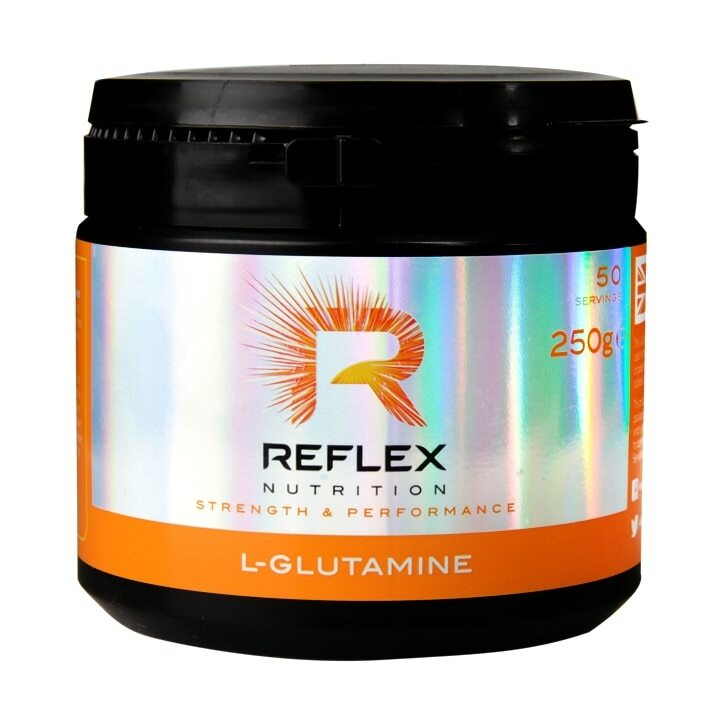 Reflex L Glutamine is rated 4.7 out of 5 by 6. Rated 4 out of 5 by FussyS from Good product It’s too early to give my opinion to whether this works or not. However I can say that it’s easy to take as it’s got either bad smell nor bad taste. Hope this hepl. It’s also good value when half price, otherwise you can purchase it cheaper from different suppliers. Rated 4 out of 5 by Hamtzie from I can't tell if it works or not as I take it with other supplements but I'm glad it's tasteless so I can easily mix it with the protein shake. Rated 5 out of 5 by gtamike from Great product Great product really helps speed up muscle recovery time.